This blog by IHE Chief Executive, Alex Proudfoot, originally appeared on the HEPI website. Today’s report from HEPI marks a valiant attempt to summarise the data published so far on the large and incredibly diverse independent sector of higher education, and to assess the potential impact of the Higher Education and Research Bill on its regulation. It reinforces IHE’s long-held belief that a truly comprehensive regulatory system is critical to maintaining the UK’s world-leading position in higher education. 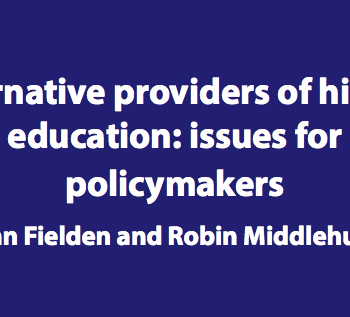 However, by dwelling on the ‘concerns’ of the publicly funded mainstream and on warnings from abroad, the authors risk missing the real story of why both alternative provision and a new regulatory framework are so essential. The regulatory architecture of our higher education sector is 25 years old. In that time the world has changed in many ways beyond recognition. The forces of technology and globalisation have carved a very different economic landscape – a revolution to which education must respond, but is lagging behind. Students today will have a working lifetime which is longer, more varied, and less predictable. Technology will create many new jobs, but will make just as many redundant. More people than ever before will need higher level skills and specialised knowledge, but universities must not be complacent in assuming they alone can meet this need. We must find new ways to engage with the citizens of the modern knowledge economy, not force them down traditional academic routes. We must match innovations in the economy with innovations of our own, or HE will inevitably fall behind and its perceived value will slip. Higher education can no longer rely on its value as a social signifier. Students today expect high quality and industry-aware teaching which will equip them with the practical skills and knowledge they need to get ahead in their careers – not some golden ticket into the professional classes. And no serious debate about the expansion of higher education can ignore the question of cost, and the importance of ever greater efficiency in delivering value to both students and the taxpayer. Real competition between providers which offer students a real choice of alternative but consistently high quality models will be a key factor in delivering the necessary change in this area. 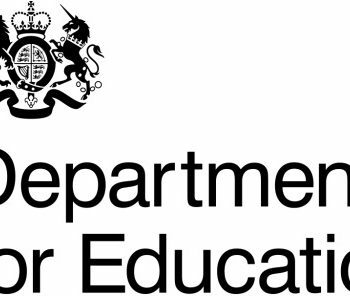 What today’s report does reinforce is the need for clear, consistent and effective regulation of our richly diverse higher education sector. The Higher Education and Research Bill will give the government the tools it needs to ensure that more students than ever before can be confident in the quality of their course and the protections in place, wherever they choose to learn. But we are in danger of letting the perfect be the enemy of the good. The headlines today warn that over 500 alternative providers will remain outside the new regulatory system, but the real story is that for the first time ever the government will have clear regulatory responsibility for all of higher education, a sector which has in large parts been unregulated until now. Independent providers are not new; they are already here – the majority of them operating for well over a decade. The Bill will make them visible. The Office for Students will have powers to intervene even in the case of providers who choose not to register, but the number who do will be higher than expected, and will only rise as the system becomes embedded. Over 200 will enter the regulated system in 2018 at the two ‘Approved’ levels, drawn in through the major incentives of domestic student finance and international student visas. More will choose to become ‘Registered’ for the public recognition that students will begin to expect. Additional incentives will follow, such as the logical extension of the VAT exemption to all Approved Providers, and these will boost numbers further. The new realities of Brexit and likely reclassification of EU students as international will again drive many more into the arms of the regulator. Changes in student populations, jobs and society are the context for the reforms set in motion by the Higher Education and Research Bill, and they are long overdue. The greatest risk to UK higher education today is stagnation in the face of a rapidly changing world. Independent providers have become an essential part of the landscape of higher education as students continue to choose modern, innovative and industry-led provision. The Higher Education Bill will provide the springboard for a bolder and more dynamic sector while ensuring that students are protected and quality remains high. The new regulatory system will indeed place the highest priority right where it should be, on student outcomes. Although today’s report seems to have overlooked it, the 2016 White Paper made clear that outcomes would provide the foundation of regulating quality in the new Approved category of registered provider, linking these outcomes explicitly to continued access to student finance. Students care about value for money and making the right investment in their future, and the new system is designed to ensure that all higher education providers share that focus. As our 21st century economy demands more highly educated workers than ever before, we need a diverse sector with a wide range of solutions to the learning needs of individuals. The age of mass higher education presents many challenges for the sector to grapple with, from reducing the cost of delivery, to increasing flexibility in the pathways available, and marrying the best of academic thought with cutting-edge industry practice. As a sector, we should be directing all of our energy towards meeting these challenges, not standing in the way of progress.